For the purposes of this article, “temporary relocation” is defined as “leaving a primary residence with the likelihood of returning one day (usually between six months and a couple of years – rarely longer) from the initial date of departure.” If you’re relocating out of the area – whether for school, career development, military assignment or any other reason – you should seriously consider renting out your primary residence as an alternative to listing your property for sale. The IRS allows a great deal of tax advantages when you have rental property. But an even more important reason than taking deductions is that you may want to hold on to it so you can retain the option of returning one day, should you wish to or – like with the Great Recession – should you have the need to due to unforeseen circumstances. In addition to leaving yourself a “safety net,” it again just makes good financial sense to take advantage of the opportunity to have someone else paying your mortgage for you while you’re away. Think about it – your property is being maintained and cared for, while it does nothing more than appreciate in value. Sure, there have been horror stories of bad tenants and property damage, but don’t let that scare you away. The overwhelming majority of those that rent out their primary residence while away do quite well – and are able to enjoy their extended hiatuses without worrying excessively about the home they left behind. It’s simply a matter of exercising good judgment and adopting a strict tenant screening policy. 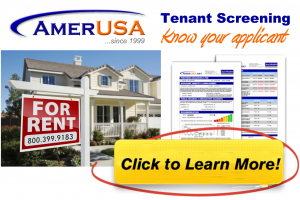 So don’t fret about long-distance landlord-tenant relationships; other AmericanLandlord.com articles will address in greater detail how to best screen and manage tenants – so that you can ensure the odds are in your favor by statistically distancing yourself from your own imagined horror story. Previous Previous post: Rent or Sell Inherited Property?